Yesterday the alarm clock woke us up early for a quick checkout from our hostel in Amsterdam. 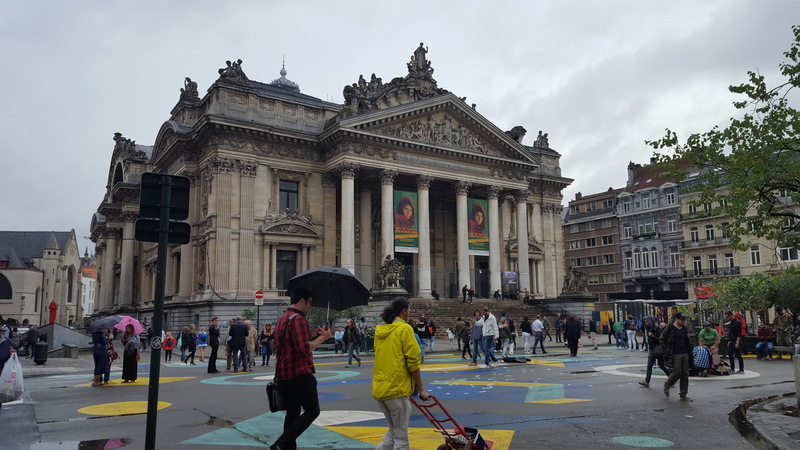 The morning did not turn so great as the clerk at the Amsterdam train station told that the express train to Bryssels had already been booked full. Lesson to be learned here, kids. The plan was to take two trains instead of one fast one to reach Brussels Midi station. 1 hour 50 minute trip turned into three hour funride with one change of trains in a city called Breda. As we pulled into the train departure terminal we received a notice that the express train to Bryssels was canceled. In the end we probably saved ten bucks by not getting seats for the express train. Ha haa, you can take a seat somewhere else because we were served some good old fashioned Schadenfreude right there. Couple of hours of changing scenery to be seen and our train slowly but surely arrived to Bryssels. 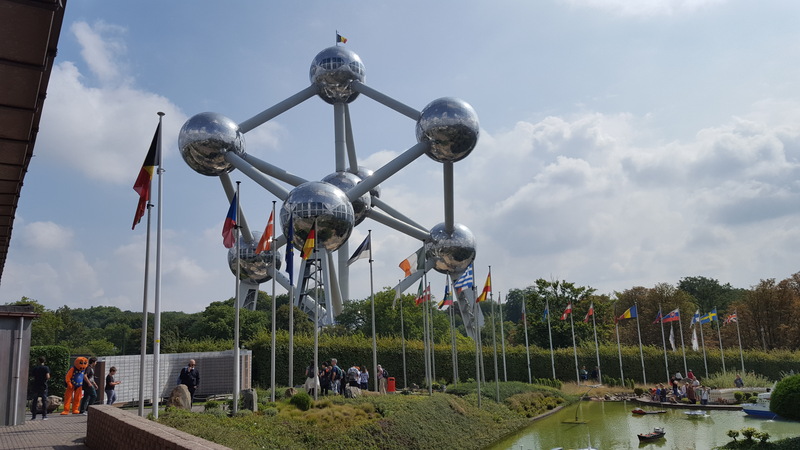 I do not know why but I had a bit of high architectural expectations for Brussels as it’s chosen to be the capital city of European Union. Real art on top of modern vandalism. Our initial experience of Brussels started with a line of army cars and reeking smell of piss. Perhaps we took a wrong turn already at the start but the architecture and the quality of buildings reminded me of Finlands local roughed up neighbourhood (edgy cement block-buildings with no real facade). A lot maintenance going on everywhere and oh god.. the smell of piss. One thing you could not miss in the city were the armed forces, security personnel and police officers patrolling the city vigorously. Local law enforcement nor the army was not kidding around anymore after the Bryssel airport attacks. I asked my friend Joonas “Oh Joonas, where have we travelled this time? Warzone?” And then we laughed and kept on going ahead safer than never before. 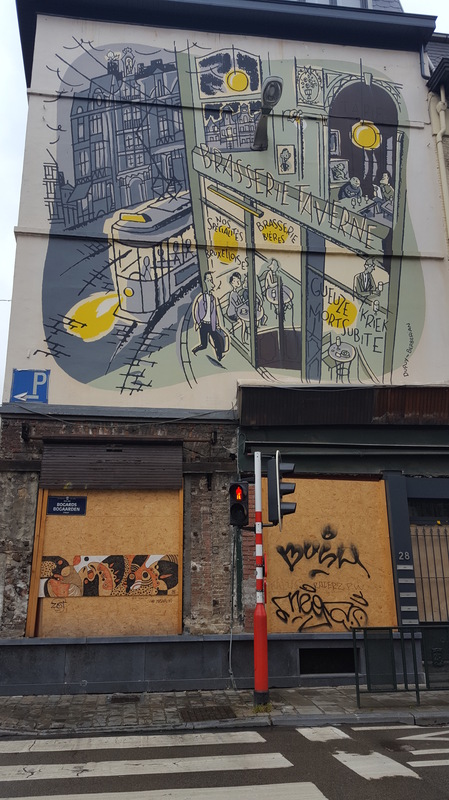 After walking couple of blocks closer to the centre of Brussels we found the main street which was pulsating with tourists and locals. Old buildings emerged from the grey facades and exposed the old architecture hiding in plain sight. Street band of three musicians played the latest dance hits with utmost expertise and it was plainly wonderful to listen while exploring the city. We ended the first day tour of the city to a busy street cafe that served belgian chocolate and various types of coffee. Iced lattés were served and we headed back to our hostel. The skies opened and sent some rain upon us for a farewell. The next morning we decided to head north of Bryssels to check the Atom-monument and Mini-Europe tour next to it. We were there roughly 11 AM and the whole place felt like deserted. Eventually more crowd appeared and the ambience of a ghost town disappeared. 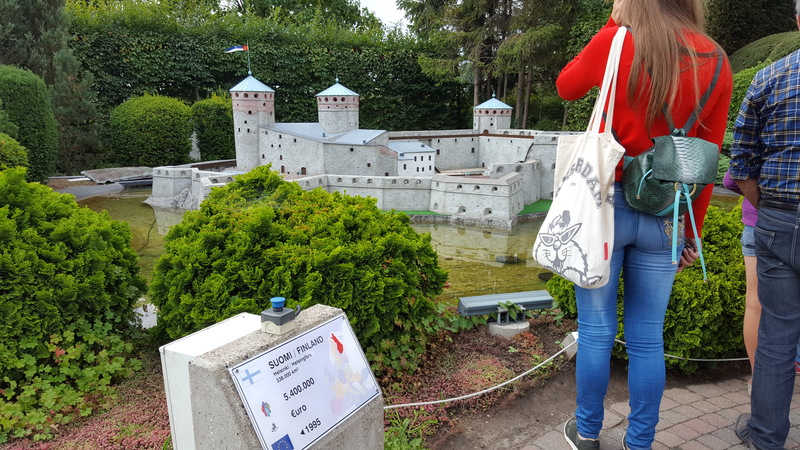 Mini Europe tour was a quirky one, ticket costing you 15,30 EUR (odd amount?) to see various monuments from EU-countries in 1:25 scale. Not sure if the price was justified but where else I can press a button and let Vesuvius mountain erupt smoke and vicious earthquakes on plastic toy citizens. From Finland the tour included Olavinlinna (also known as Savonlinna) which is one of the many forts our nation built for defence against Russia. Luckily there was a button to spam the national anthem of Finland for other tourists. In Finland we would call this moment of joy “Suomi mainittu, torilla tavataan” (= Finland was mentioned globally, lets go get drunk at the market place). Cute Russian girl doing recon on our fortress. Tomorrow morning will be the last one in Bryssels as we pack our bags and relocate to the legendary love capital, Paris. Perhaps we better learn some french quickly? Qui? Now to get some well deserved rest! Have a great night!